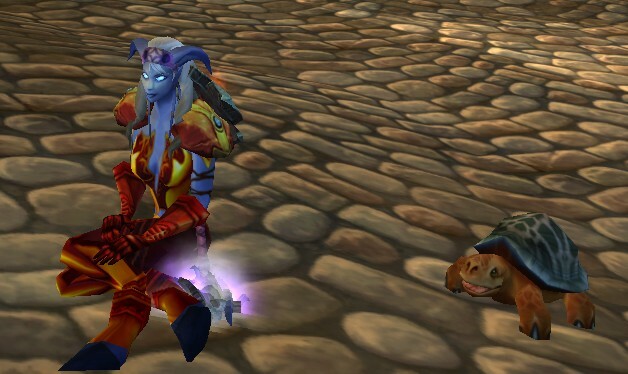 It’s raining mounts…and pets…hallelujah it’s raining mounts! Follow me behind the cut for all my pretties! Darkmoon faire, since my stupid the other day, I had another stupid – I signed up on my druid to run some heroics to get the DMF random drops….after wasting about 50 minutes in total and running 2 heroics with no drops, I stupidly (again) realised that i could buy them on the AH 😀 So including my dailies I could score a couple of mounts this cycle! 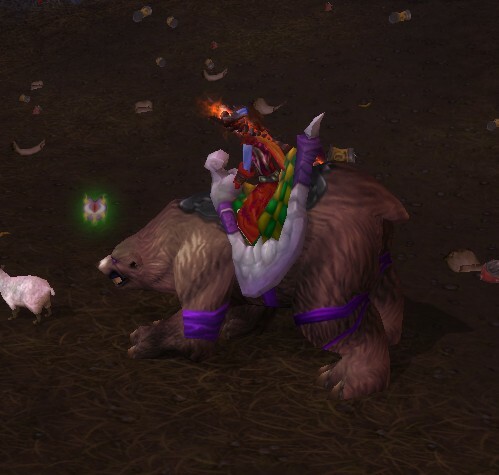 So I got my DMF Bear 🙂 I love the bear mounts, I enjoy the way they ride 🙂 ever since the white bear quest in Wrath – you all know which one I mean, I decided I had to have the ANY bear. I got it later – right at the end of Wrath…after doing the daily a fair bit, but not a lot – -unlike some poor souls who are still doing the quest to get it. 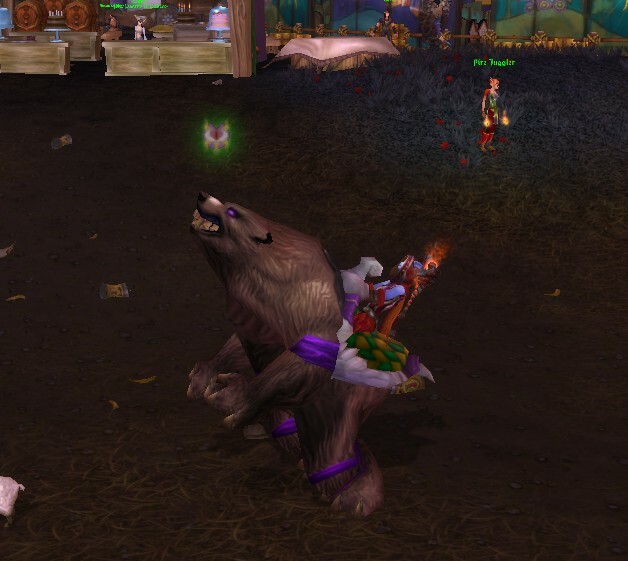 I like this bear because when you hit the spacebar, he dances! 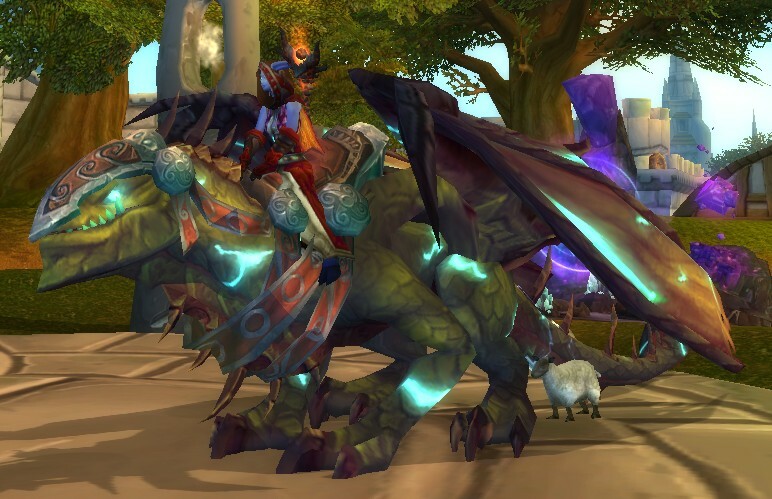 Then last night, I checked my Tol Barad commendations and discovered I only needed three more for this gorgeous beauty 🙂 I wanted the drake, with a passion when I first saw it. 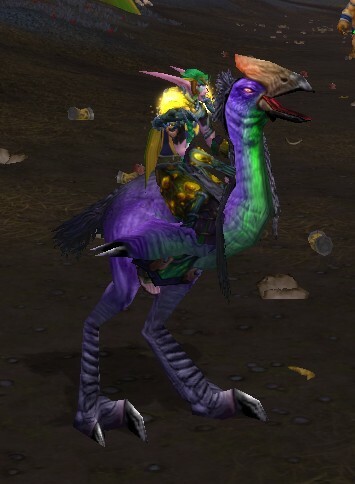 I started my dailies ages ago and then sort of dropped off a little, but I have been doing them diligently every day for weeks now, with another 13 days to go to get the steed. I will keep plugging away at it. Sooo pretty 🙂 So mesmerising! My precious!!! 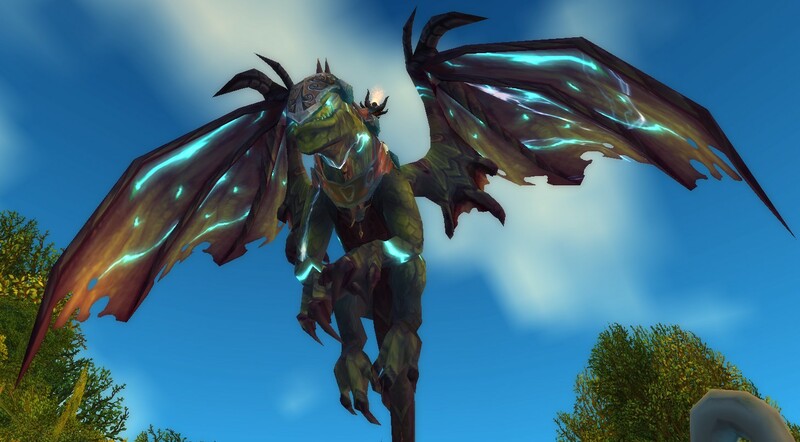 I guess the reason I am doing so much chasing is because of MoP, since they are making pets and mounts account wide, I am not being exclusive to my mage anymore. I feel dirty about it really, but I want to ensure i can get as many as possible. 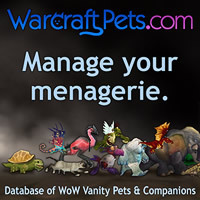 If I do change mains in MoP I won’t feel guilty about losing all my mounts and pets. I have put a lot of time into them, and a lot of time chasing them – as does any collector, so aside from the few which are not going to be account bound, I am happy that I can collect now without fear of losing them all. I know exactly which tallstriders you’re talking about. I remember seeing those same ones back in BC but I don’t remember there being a rare one, just several of the common ones of the same colour combo (like the Darkmoon one).